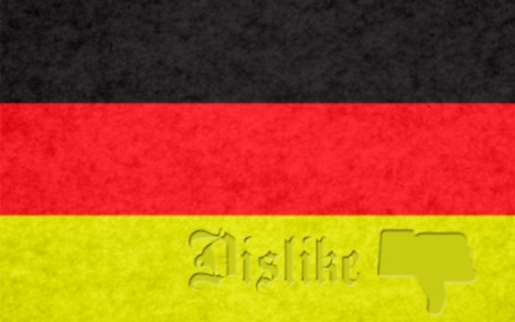 The new flag of German reflects its Facebook status perfectly. I don’t know anything about the German state of Schleswig-Holstein. I’m sure it’s a beautiful place with many, many beautiful Holstein cows. The one thing I can tell you about Schleswig-Holstein is that they take their privacy very, very seriously there. In fact, the state government of Schleswig-Holstein has banned the Facebook Like button on official websites and ordered government branches to shut down their Facebook pages over privacy concerns. According to Schleswig-Holstein’s data-protection commissioner, Thilo Weichert of the ULD, the Facebook Like button builds profiles of both users and non-users based off of the Like button, which would run contrary to EU and German privacy laws. To Weichert, that feature is allowing Facebook to illegally collect data that it has no right to as far as government institutions are concerned. Somebody better warn Queen Elizabeth that her love of raunchy Facebook updates may soon be leaked to the public!